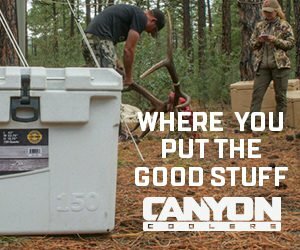 Hunting late season when temperatures drop out the bottom can really hinder your hunting style and ability. Being able to hit it hard while these undesirable temps take hold is key to remaining successful. 2014 late season was no different than in years past. I hunted with both archery and rifle tackle in temperatures with a high of 8 degrees during the heat of the day with lows to -20 with wind chill down to -35 degrees. But still that didn’t keep me from hunting, hiking, and stalking countless miles in temperatures than can bring death to the un-prepared. Being able to withstand this attitude Mother Nature throws at us as hunters is key to being successful in the field! It is no secret that layering is a great way to stay warm in cold conditions while keeping your bulk to a minimum. There are many brands of clothing on the market but I want to talk about a kit that has worked great for me over the years. This same type of thinking can work with various companies’ clothing. 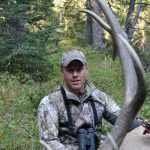 Kryptek has been my choice of clothing for years and is the reason I’m also on their prostaff—they make great clothing. Let’s start at the Kryptek merino base layers, top and bottom. This is your first line of defense to keep your body heat regulated. The obvious and best option here is using Merino wool base layers. The benefits are that merino wool is antimicrobial which helps keep your stink to a low and can be worn much longer than synthetic blends. The other reason why merino wool is the best option for a base layer is that it keeps you warm when it is cool and cool when it is warm. It breathes extremely well. I use the bottoms in colder weather and while sleeping at night in the backcountry. The top however, I use at all times throughout the year as a standalone in higher temps and of course a base layer at colder temps. The fit of both garments are athletic and I prefer to go down in a size when layering. I have been using the same set going on three years now and they are holding up well other than the crotch area of the bottoms is wore out. Moving out a layer, I like to keep my core warm by using the Kryptek Vidar Scout vest. For me it is very important to keep my core warm as this is where a lot of energy is lost when you are cold. Let your core get cold and you are in for some trouble. If needed, the vest can be removed easily if you find yourself sweating or the vest can be used without an outer layer jacket. This vest has been one of my favorite to date. The fleece backing and stretch fabric make it very comfortable. I have been using my same vest for three seasons as well now and it has held up very well with minor wear and tear for a garment that goes everywhere with me. My outermost layer that would be exposed to all elements was the Cadog Jacket and Pant. 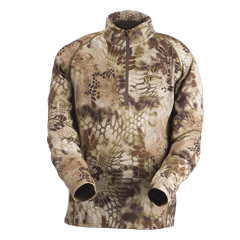 The softshell jacket features include water resistance, fleece backing, stretch fabric, sleeve cuffs, hem pull cords, and pit zips. All of those features make it a more reliable and a comfortable jacket. Most features are obvious as to why you would want them but I want to point out some very important things that I feel are relevant. The sleeve cuffs and hem pull cords help lock in your heat without losing it by having cold drafts enter the jacket. In the event you get heated up you can easily open them and the pit zips for more breathability. This came in very handy when I began to exert more energy. It is very important to not get sweated up as this will cause you to cool down too much when you are not moving. The athletic fit and stretch fabric along with the fleece liner make it very comfortable. Pockets are in strategic locations and offer ample room. The Cadog pants are comfortable as well but some may feel they are a bit restricting due to the fleece liner and size throughout the thighs if you have tree trunks for legs. This was a problem in the earlier sizes but has been addressed in later models. Ordering a size larger may be a better option for some to allow for layering underneath. Again, these are fleece lined with stretch fabric and are water resistant. If you prefer to use suspenders, there are tabs on the pants to incorporate those as well. The early versions of these pants did have issues with seams coming apart but that has been remedied long ago. After using these pants extensively there is very little wear on the pant legs from walking through underbrush, briars, and grass. You can see the wear and snags are there but nothing that makes the pants any less effective. The military design of these pants give you more than enough options to place items in pockets. The knees have a 3M materital that will keep your knees dry as well. If you spend a lot of time stalking and crawling the knee pad pockets are a no-brainer way to save you some self destruction. Knee pads are sold separately. I feel it needs to be noted that when using the knee pads they can be somewhat noisy when crawling through short grass as the vegetation cracks and pops under the foam knee pads. Now onto my head and neck; this area loses heat faster than any other part of your body. With these temps I knew I needed to keep my face as covered as possible. That is why I chose the Wyot Balaclava teamed up with the Kiska beanie. The Wyot is a very universal piece and can be worn in various ways such as a neck piece, over the top of your head and across your face. The only complaint I have is that while in the bitter cold temps, my breathe caused icicles to form on my eye lashes. There is a mesh area near the mouth area but still closed just enough to allow my breath to escape near my eyes. But I have never worn a balaclava that didn’t do this. The Kiska beanie added warmth to the top and my ears and is a very comfortable piece as well. For gloves I used the older model Kryptek Krypton and Zues gloves. In these cold temps while rifle hunting, I was fine with the Zues gloves as I was on the move. I have had issues with these gloves and their liners as they bunch up and cause problems. Probably one reason they are not offered any longer. The thin Krypton gloves remain a favorite but offer little insulation. I remedied this by using a heat pack inside the palm of my hand under the gloves and this proved very beneficial. 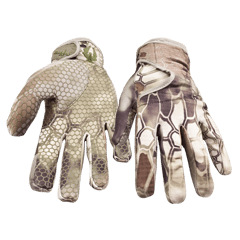 I have yet to test the 2015 gloves that Kryptek offers. A shame, I know! 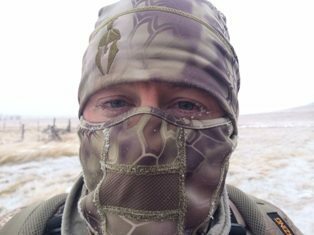 The above mentioned articles of clothing allowed me to take part in numerous hunts in unfavorable type conditions for many. Spending over 40 days a year in the field demands the best gear I can find. Kryptek remains my choice and I am happy with the outcome. Keep in mind that these garments are not wind proof so the addition of a windproof jacket would be on the upside of things. That makes the Kryptek Einer a great option that I will be doing more testing with in the future.